Say ‘Hello’ to Luke, our newest BDM recruit! This week we welcomed Luke Sherratt to Market Dojo. He joins the business as a new Business Development Manager. We wanted to learn more about our newest recruit, his past experiences and what he can bring to the table, so we set up a quick Q&A session to do just that. I applied to Market Dojo for career aspirational reasons. 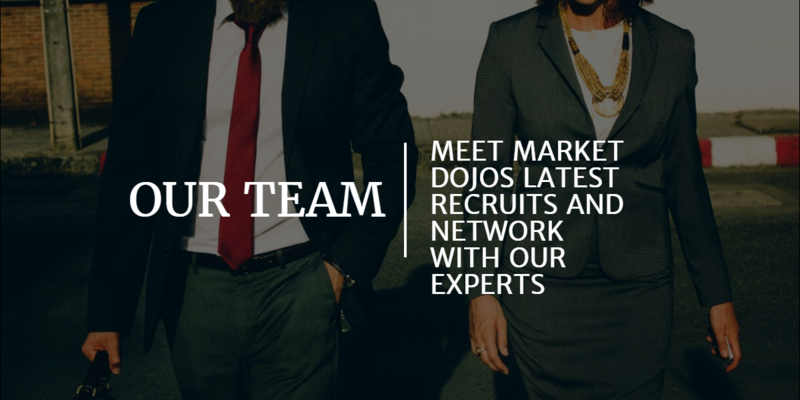 As a dedicated and motivated individual, I wanted to progress my sales career as best I could and Market Dojo sounded like the perfect route. Software, technology, “the cloud” and on-demand services are extremely relevant in today’s world and it’s only going to get bigger. MD is a fairly young company with ambitious people behind it and I wanted to get onboard (SIM dojo) with this drive of technology in today’s society. This is my third day in the office and apparently I should have started writing this on my very first day! Sorry, Craig. My role is ‘Business Development Manager’ which means I will be… trying to manage the development of the business by selling our solutions to clients, telling them how fantastic our on-demand software is, understanding what their current issues are and explaining how we can help them, showing them our easy to use software via web demos, and dealing with client renewals, etc. In my first year I hope to achieve and exceed my OTE, who wouldn’t want to do that?! As a bonus, it would be fantastic if I could become more of an expert than Nick or Lewis but let’s be honest, that’ll be impossible! I’d like to be proficient in all of MD’s tools and have the answer to virtually every question that a client may throw at me. Knowing the answer and explaining exactly to the client in a fluent way of how we can help will greatly improve the chances of success and give a much better experience to that particular client. MY DOG. How awesome would that be? 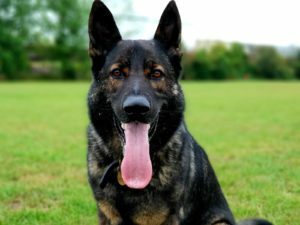 He is a 3 year old German Shepherd called Theo and I have had him since 7 weeks old. Although I’m not sure how some of the guys here would react to him! Maybe I could try to pass him off as some sort of therapy/stress relief dog. I embarrassingly enjoy silly ‘teen’ films so my all time favourite is Superbad. I remember watching it for the first time in the cinema with a group of friends and we were cracking up with laughter constantly. I watched it again at University with my flatmates and it was like seeing it for the first time again; we couldn’t stop laughing at the silliness of it! Some close favourites are the American Pie series and… Mean Girls, ooops, to name a few. I haven’t had a large range of jobs but this always surprises people when I tell them; I used to be a Farmer for 7 years for my Father’s farming business. 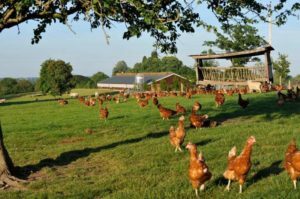 He has over 17,000 free range chickens for egg production and has a contract with Waitrose Partners supplying the free range eggs. My duties included obviously tending to the poultry, operating farming machinery, managing stock and the birds, making sure that all papers/compliance were correct and generally overseeing the estate. 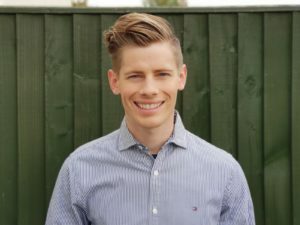 I made the extremely tough decision to leave the business and to pursue a career in sales as I thought I’d be very well suited to it! Not necessarily a dream job but when I was younger I wanted to be a rally car driver! I remember watching the WRC when the likes of Colin McRae and Tommi Mӓkinen were driving their respective Subaru’s and Mitsubishi’s. To this day I currently drive a 1999 Impreza Turbo which is 50% there of becoming a rally car! I also wanted to be a Police Dog handler for a long time and seriously considered this as a real career choice. I think I would be able to do it but the work/life balance would not be great coupled with a lot of other things put me off. A high-end property developer would be very cool and that stems from watching way too many episodes of Homes Under the Hammer on my 10:30 snack break. I’d love to buy a large run-down property, have an unlimited budget to restore it to my specifications, then to sell for a huge profit but I’m sure it’s not as simple as that! For now though, I am extremely happy with where I am and how I’ve managed to completely change my career. Onwards and upwards! Stay tuned to hear more from Luke as his role develops. Find him on LinkedIn here.